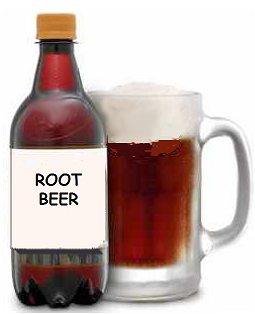 Owl Creek Gazette: "Name Your Favorite Root Beer" Contest! "Name Your Favorite Root Beer" Contest! In the June issue of the Owl Creek Gazette, we mentioned we would be reviewing a variety of root beers via our "Root Beer Report - Summertime favorites put to the test!" The idea has been growing as a result of some fun conversation on our Owl Creek Gazette facebook page and this Saturday during the Greenville Graffiti Car Show, we're inviting folks to drop by our office (208 South Second Street in Greenville, IL) and vote for their favorite root beer. For folks who can't make it to the office, but have a favorite root beer to share, feel free to post your favorite brand here! We'll be publishing the results in the upcoming July issue! Thanks for starting the "Name Your Favorite Root Beer" Contest conversation here, Dennis. Your favorite, A & W, seems to be the most mentioned on our OCG facebook page (with several folks recalling the frosty mug as part of the great tasting package). Other brands listed thus far via the conversation on fb include (alphabetically): Barq's, Dog 'N Suds, Fitz's, Frostop, IBC, Mug, Sioux City sarsaparilla, and Stewarts. But most importantly tastes great. Barq's was popular with a number of folks who entered our "Name Your Favorite Root Beer" Contest over the weekend. And thanks for the heads up on the Blue Sky Creamy Root Beer ... I love that it's Stevia sweetened! I know this is late, but had to add Crater Lake Root Beer. On tap in a number of places out here in Oregon. its AMAZING. Best soda I've ever had.